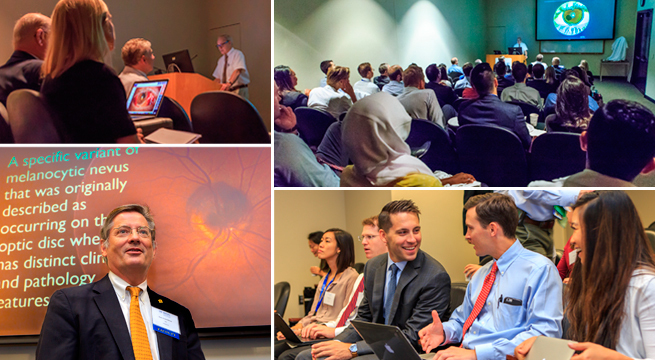 (ATLANTA) Emory Eye Center will host the eighth annual Southeastern Ocular Oncology/Pathology Seminar (SEOP) on Friday, Sept. 28, from 8:00 a.m. to 5 p.m. 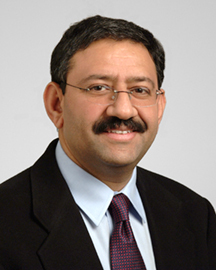 The program will begin with the Calhoun Lecture, given by Arun D. Singh, MD, director of Ocular Oncology services in the Cole Eye Institute of the Cleveland Clinic. Dr. Singh’s specialty interests include eyelid and conjunctival tumors, retinoblastoma, and uveal melanoma. He has published more than 350 scientific articles and has edited several textbooks. He also is editor of the journal, Ocular Oncology and Pathology, and served as president of the International Society of Ocular Oncology from 2015-2017. SEOP attendees learn about signs, symptoms, and clinical findings in ocular cancers that general ophthalmologists and ocular oncologists might see. “This helps attendees learn what steps to take and what treatment options are available when they see these patients,” Grossniklaus explains. The meeting combines updates on the latest ocular oncology research and discussion of clinical management of ocular oncology patients. Attendees are invited to bring information about some of their own cases to SEOP. During the conference, they can present to the group and get expert opinions on diagnosis and treatment. Grossniklaus and several other Emory Eye Center faculty members (G. Baker Hubbard, MD; Jill Wells, MD; and Ted Wojno, MD) will serve as moderators during the case presentations.